She graduated from Art Studies at the Faculty of Philosophy at Comenius University in Bratislava in 1980. In the years 1983-1994 she worked at Art Studies Institute, later the Institute of History of Art at the Slovak Academy of Sciences. 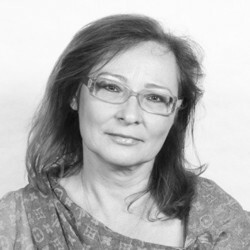 She has been working at the Slovak National Gallery since 1994; from 1999 till 2009 as the director general, currently as the curator of the Collection of Modern and Contemporary Art. She specializes in issues of Slovak modern art and sculpture, Classic Modernism as well as contemporary art from the second half of the 20th century. During her work at the Slovak National Gallery, she worked on various exhibitions and catalogues and published several publications and monographs.